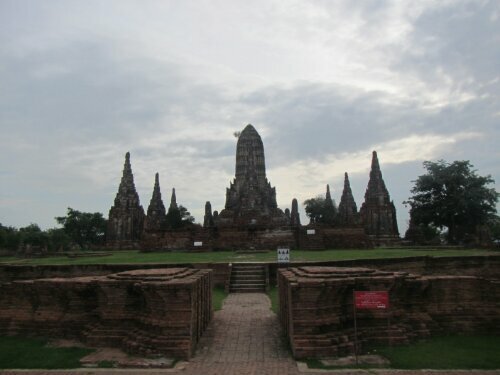 We took a train from Bangkok to Ayutthaya. The train was super late, but it was expected. Rented scooters rode to elephant river market. 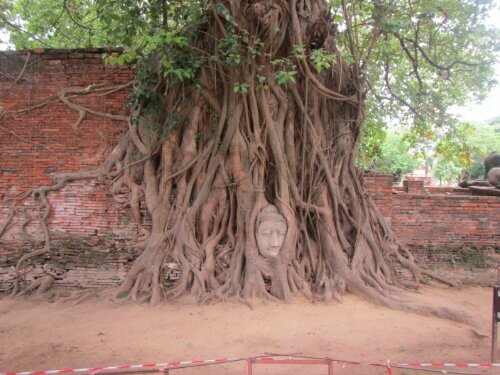 We also rode the bikes to Wat Phra Mahathat which is where budda’s head is engulfed by tree roots. 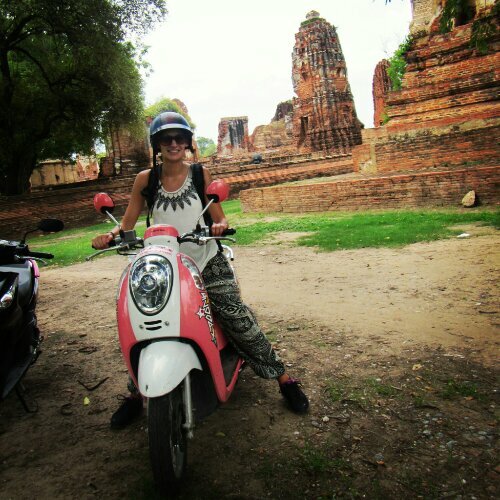 My scooter was sweet; I would never ride a scooter in Bangkok, but Ayutthaya is doable since it isn’t busy and as fast paced. 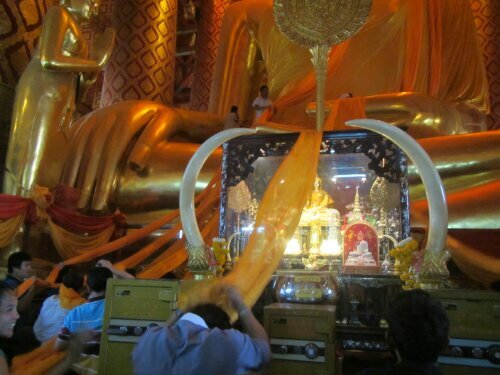 Has largest ancient Buddha. 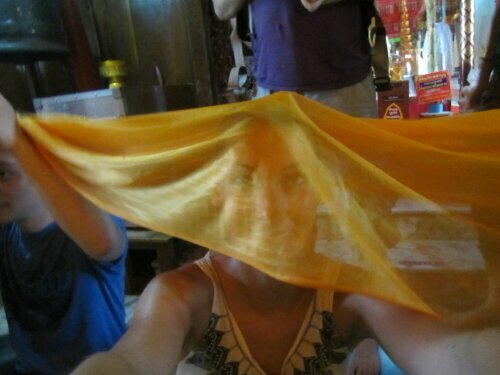 We were a part of a ceremony with orange sheets that were wrapped around the statue and that we covered out heads with. 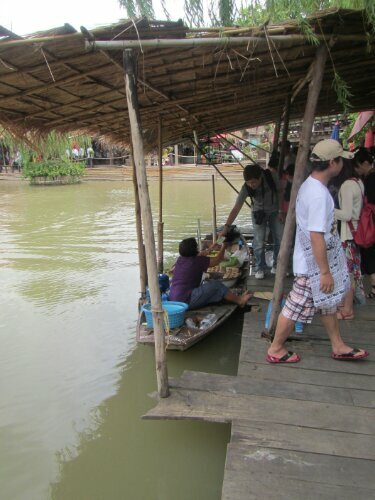 It was like we were connecting with Buddha. Two old monks were in the back praying with people and hitting their head with a bundle of sticks while chanting something. 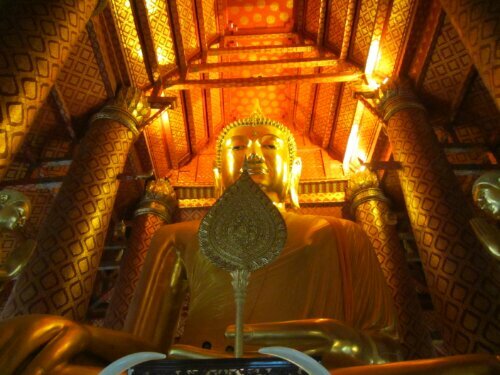 I enjoyed the reclining Buddha (vihr) and the rest of the old temples. 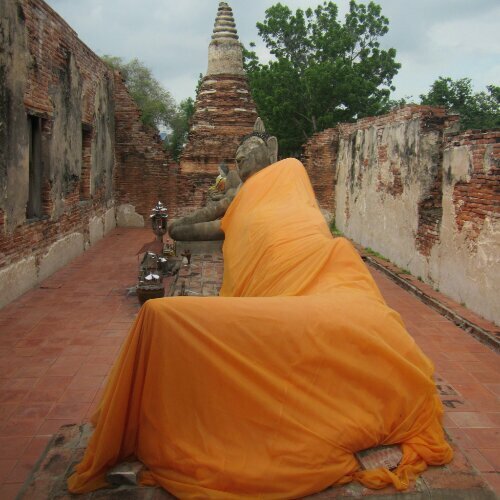 Cool thing about this reclining Buddha is that he was outside. Really ancient temple – the sun was low so it was really pretty. 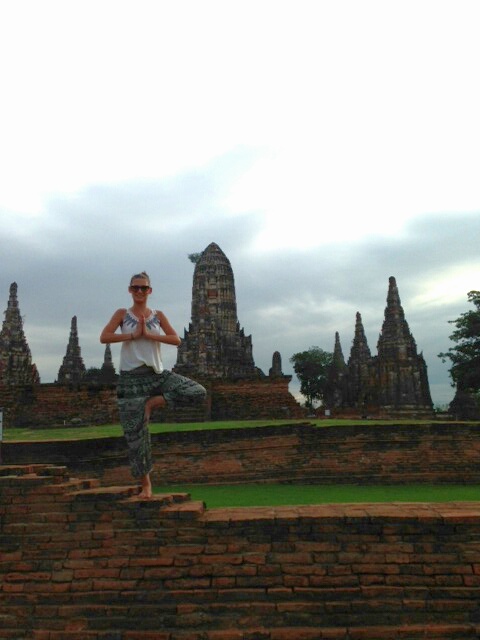 I did some yoga. 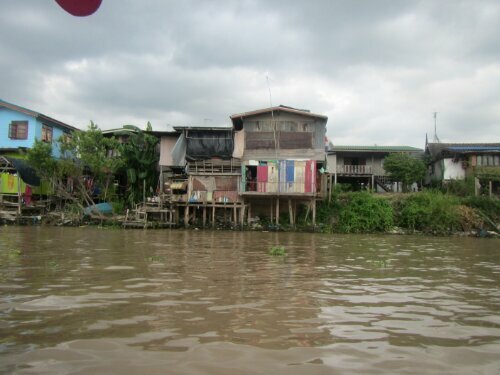 When Passing through the channels, which have mostly make shift homes lining it, Thai resident fish and wave with a smile; sometimes waving excitedly with two hands. 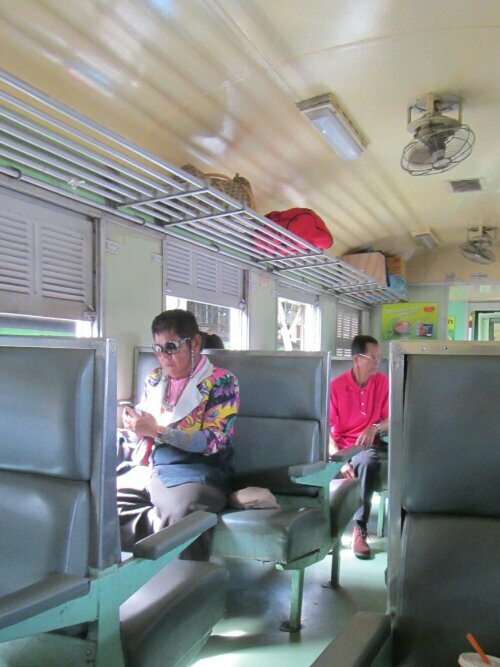 After the tour we ate dinner and caught up on emails and hopped on the red eye train to Chiang Mai. 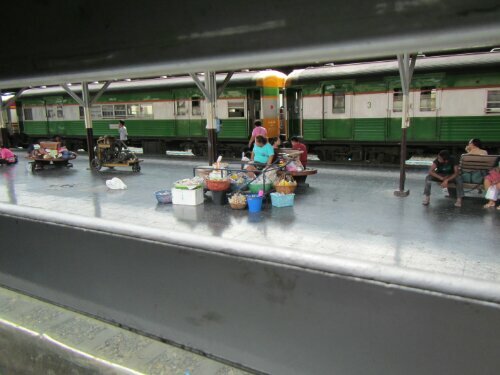 We were situated right by the bar car which had music, disco lights and of course alcohol!